I definitely get how you are feeling about daily creative habits. For every day that I put a lot of effort into drawing or try something new there are several days that I'm just trying to get something (anything!) down before I can go to sleep. I think I am in a rut with this project lately, but I think that the days where I do push myself or come up with something I really like happen because I keep with it on the days that I don't. That way I don't fall out of the habit all together. And some days even the really simple drawings are ones that I really like. 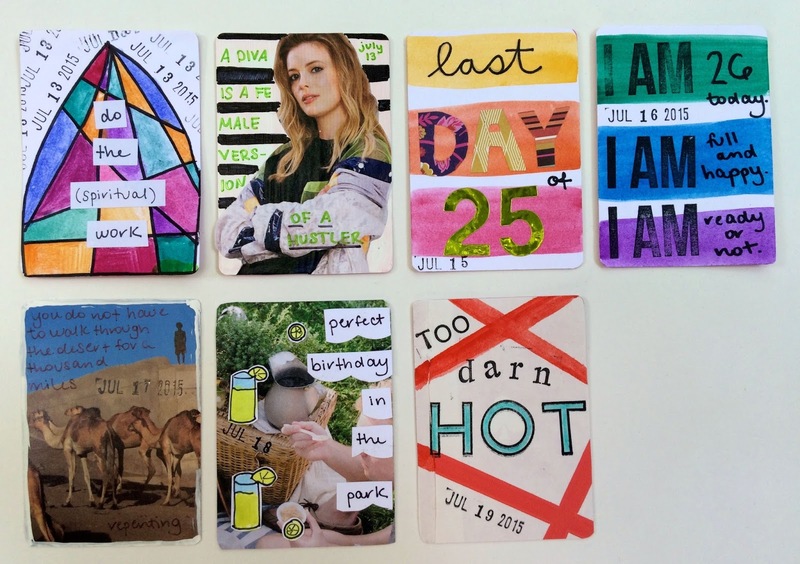 Your cards look great, and they will be a really cool way to look back on everything that happened to you this year.